Now I’m not even done with Netflix and that’s JUST Netflix, and it all comes at the decent price of RM30 a month. The best part is that it’s on demand, which means you can watch it in barely 30 seconds from the point you choose you. Now I have a regular Unifi connection at home, and I can vouch that its good enough for you to watch online. How about the other stuff, do you know CBS, NBC and PBS, have entire full length episodes online? I spent a good 30 minutes watching old episodes of sesame street the other day (I spent 3 quarters of my childhood with Sesame Street). These are episodes so old, you probably can’t find them on torrent anymore. 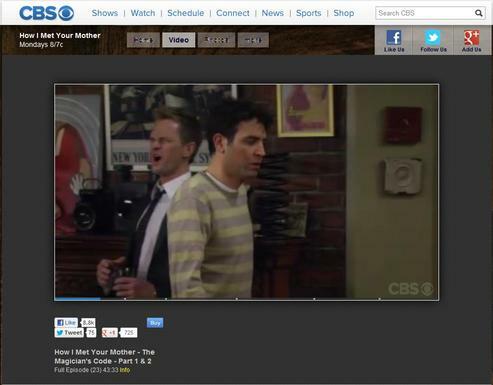 I’m beginning to see why Americans are torrent-ing less in favor or real-time entertainment. So how do you go about accessing Netflix, Hulu or the other channels? Well as I said Netflix prevents users outside of certain countries from accessing the content online. 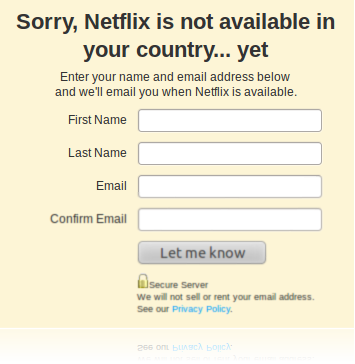 If you tried to go to Netflix you get a huge “Sorry Netflix is not available in your country” yet sign. There are multiple ways around this, but I’m only going to be focusing on one. Unotelly is a straight forward DNS service that allows you to bypass all the filters online and grant you access to the glourious web content our American brothers have enjoyed but has so far eluded us Malaysians. Unotelly promises you the ability to watch Netflix, Hulu and a whole bunch of other channels from outside the US. What’s more they even offer you access to music services as well, including spotify and Rhapsody. It’s a great way to get access to a whole bunch of content whether it’s Video or Audio that would otherwise be available only to internet users in the US. I’m not entirely sure how Unotelly works, as far as I can tell it uses a custom DNS to reroute you, for premium channels, Unotelly also ensures that your IP address is currently logged onto their system to ensure no one is trying to free jack their DNS system. Other than that I’m not particularly sure on the mechanics, but I do know its not a VPN connection or a simple Proxy server. That most important thing though is this — Unotelly WORKS! Unotelly is a DNS-based system that allows to its customers to watch their favorite TV channels wherever they are, with any device they have, without restrictions. With few words, it’s an online TV service that bypass geographic limitation. Unotelly works with all the devices. PC, Mac, linux,PS3, XBOX360, Wii, iphone, ipad, itouch, androids, playbook, WD TV Live, Roku, boxee box, OpenElec, XBMC, Apple TV, Google TV, LG smart TV, Sony TV and players, Panasonic VIERA, Samsung TV and players and all rooters(sic) including DD- WRT. All you need to do is sign up and install a small application on your PC, follow a not-so-simple procedure and you’re done. Installation on my PC was quick and within a couple of minutes I was bypassing Netflix filters, after a quick sign up process (I signed up a free one month trial), I was up and running watching Netflix online. From the start I was hooked, watching episodes of Switched at Birth with the wife, and getting to finally watch those elusive BBC recaps of football games (complete with goal replays and manager commentary). I work out that I’ve already pay for the rights to watch these from my Astro subscription and I’ve watched all the irritating profitable plots adverts I can take in one lifetime, so why I can’t watch highlights of the exact same game on BBC online on demand, the BBC is providing it for free to Brits, why not Malaysians? I recapped a wonderful day with a few episodes of Americas got Talent, So you think you can dance and of course Two and a Half men. All from the comfort of home and all for free and all on DEMAND, in fact it takes around 30 seconds from the moment I pick the episode to the moment it plays. First off, it isn’t free. You can look at the list of channels here, the free channels are provided for free by Unotelly, the Premium and Gold Channels you’ll have to pay extra. This is not inclusive of the $7.99 you need to pay for Netflix or Hulu once your free trial expires, but even if you combine them together it still cost just Rm60 for Unotelly and Netflix. The other drawback is that you only access the channels that are in Unotellys list. Anything outside of this list and you’re on your own. So if you’re hoping to access other content not listed on Unotellys list of Channels you’ll have to look elsewhere. The 3rd drawback is that you need to install an application on your PC, although you can configure DNS on your router or tablet pretty easily. Depending on your IT skills this can be very easy or very difficult. 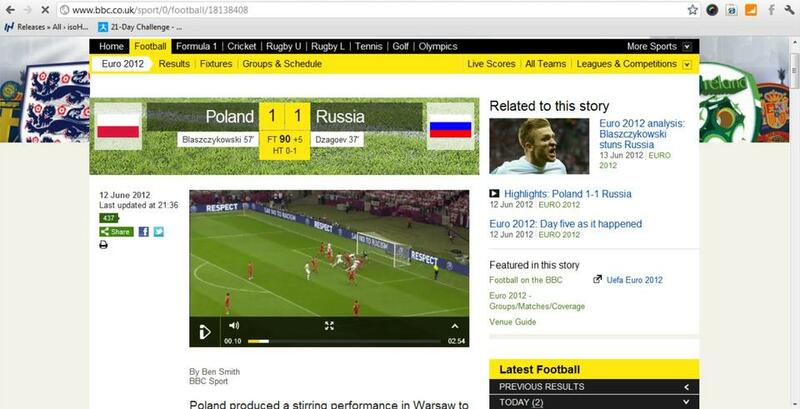 Finally some of the content doesn’t work too well, particularly ESPN. ESPN is offered for free in the US but only to subscribers of the actual channel, so you’re not going to be able to view ESPN content or at least I had difficulty accessing it. It’s also important for me to mention that I haven’t yet tried to buy my Netflix subscription via a local credit card. It’ll be interesting to see what happens after my trial expires. Unotelly isn’t a VPN, its based on DNS technology so it’ll work with any platform and any device. Ipod and Smartphones included. Unotelly is FAST! Unlike VPN there is very little routing here. Unotelly only works the selected channels. Now I mentioned this as a setback since you can’t access other channels, but it’s also an advantage. Unotelly won’t communicate the wrong location details to websites like Facebook, Google or other services that you want to still think you’re from Malaysia. Unotelly is pretty cheap, while it does cost money, the Gold package comes in at a very reasonable $4.95 while the Premium is priced at around $7.95 (both in US dollars). Now for the most part you’ll probably be happy with the Gold Package, so you’re looking at just Rm15 for access great content. 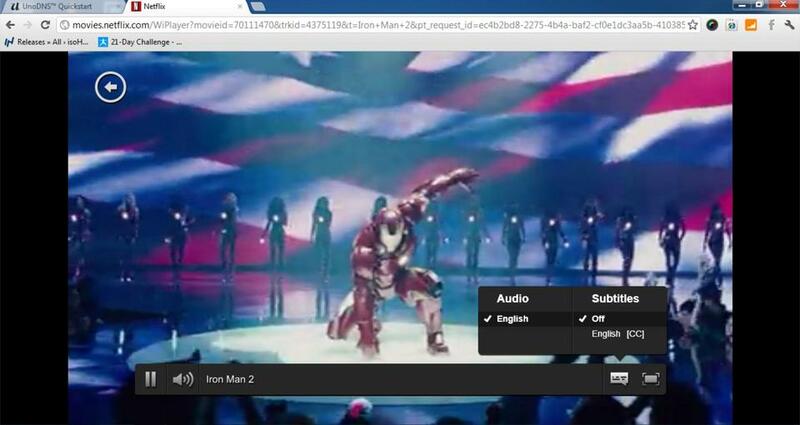 It’s a quick and fast way to view international content without having to go through proxy servers or VPNs. Before I make a conclusion, I’d just like to point out that Unotelly had actually contacted me to write the review AND that I was given a lifetime pass to Premium Unotelly services. So while I hope that this review isn’t bias, I want to be very transparent about this. Unotelly by itself isn’t useful, it merely enables you to access great content that would otherwise be unavailable to you. If you don’t really fancy TV channels or Movies, then you’d probably want to skip this. However, I haven’t met a Malaysian who doesn’t watch at least one American TV series with the religious fervor of a Taliban. So let’s break it down, Unotelly is only as great as the channels it provides…but it provides some great channels including Netflix and Hulu. You also get a chance to watch football highlights on BBC live and older movies and series for very little money or even absolutely free. However, this content isn’t exactly the latest brand spanking new content, so if you absolutely must watch the latest version of American Idol, you’ll still have to subscribe it from Astro or torrent the episode. However, if you don’t subscribe to Astro at home, and have spare bandwidth, then paying Rm15 a month for access to great content is a magnificent deal. Also, at least you wouldn’t be utilizing pirated material. On that note, let me also emphasize that while this isn’t pirate content (it perfectly conforms to all intellectual property laws) it’s not entirely legal either. Firstly, the digital content you consume from Netflix is still considered entertainment and you would have to pay the neccessary taxes. Secondly, you are still considered ‘fraudulent’ in claiming to be from the US when you’re not. In the end though–who cares? Plus, if you’re not subscribing to Netflix pay package, and get everything for free , then there can be no taxes involved :). My final verdict, Unotelly rocks, and for just Rm15 a month it’s great. You can get a free access to Unotelly immediately today and access channels CBS, FOX and TruTV the trial gives you a flavor of how Unotelly works and is a great way to determine if the service fits your needs. So go out and try it!! dude is netflix in HD? Sorry William it isn’t. I’m not sure if they have a HD channel, but even then I’d be surprised if HD could be streamed via a regular Unifi connection. Most of it is just standard definition. Sorry for the wrong response. Netflix does have HD, but it’s a very limited selection. Probably no more than 50 movies and Episodes (combined). I haven’t yet purchased a Netflix subscription since I’m using the free one month trial, will give it a shot and let you know. You might also try using a Maybank American Express card, that may be a slight loophole as it’s the only card in Malaysia that you can purchase a Kindle Book from Amazon directly with. If you have an Amex card it might be worth giving it a shot. No problem using Maybank VISA CC. Already 2 months subscribe Netflix. thank you for your confirmation Norrafi. I will get it a try with my cc from the same bank. Only certain credit cards work. Maybank Amex is one of them. i just got an apple tv. its really great. got unotelly as well. but apparently other then the apple tv contents , such as their movies and podcast are streamed on hd quality. 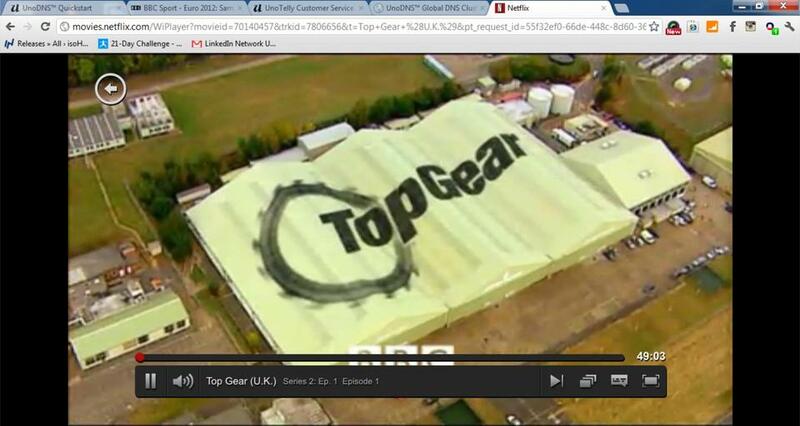 i am able to watch those in HD. Netflix however , im not getting on HD. almost every movies that i select they provide HD but when streaming ,its worst than SD at times. Im on streamyx 4mbps do i need to get a faster internet connection ? HD is going to struggle with 4Mbps I believe. Even Unifi may not be enough. You’re better of purchasing HD content, rather than streaming it. Sorry couldn’t be of more help. HD videos come up to about 1.5GB to 7GB per movie, that’s too much data to stream over the length of a 1 hour movie. I managed to access netflix on my netbook running windows 7 starter edition but unable to view on my appleTV using my local itunes ID. There is no netflix icon on apple TV to click. Can WD TV Live work with this? Does Unotelly change “my location” of my home network to reflect US based? Or does it only affect the PC or tablet i’m accesing from? It will work on everything connected via the same router. There a Unotelly app/program you can download, and that updates Unotelly with your IP address. From then on all request via that IP address are approved. So it will work for all your devices, provided you set that up properly. Is this still current? will the an APAC unit of WDTV live be able to stream netflix using Unotelly? the great thing about Unotelly is that you can set it at the router level as well, which makes the actual device you’re using to watch Netflix or Hulu irrelevant. I am quite interested and have already register for the UnoTelly trial, but however I am not able to sign up as trial on Hulu nor Netflix as they do not accept non US credit cards/PayPal accounts. How are we Malaysians able to sign up? If not, I don’t see the point of having a UnoTelly account as we basically could not access anything else. Also, it costs so much more than Astro if I subscribe to most of the networks, Netflix, Hulu, Nat Geo, etc. Are there any recommendations? I’m able to purchase my Netflix subscription via my maybank American Express credit card. I can also buy my kindle books with it. turns out the Amex is treated as an American card. hope that helps. Hey bro, this will probably a silly question. We can only like watch Netflix or Hulu Plus etc. with UnoTelly right? That DNS thingy, did it apply to US iTunes or Play Book or Kindle? That’s actually a very good question. For the time being UnoTelly supports multiple sites like Netflix, Hulu and even Amazon Prime. However, it doesn’t support every site, so iTunes would not be covered by a Unotelly subscription, i.e. Unotelly would not apply to iTunes. However, because it applies to Amazon Prime, I’m intrigued to see if it applies to other Amazon services like the Kindle as well, I’ll need to double check this and get back to you. Tried accessing Unotelly via Maxis Fiber 10Mbps line? Unify may allow unhindered access to Unotelly. Will Maxis, the sister of Astro Malaysia, give a fight and drag us down? Any idea? Any testimonies or sharing from Malaysians accessing Unotelly via ‘Maxis Fiber’? hey, how do i connect it with a ps3? i cant seem to find the application. do i need to change my internet proxy as well in my ps3? or what do i do. please help 🙁 ive signup for everything ha. It has a youtube of it. To be honest I don’t have a Playstation so I’m no familiar but should be a simple matter of changing the DNS settings. If you still have problems let me know, I’ll get in touch with the guys at Unotelly and we can see. Hi Keith. Great article. 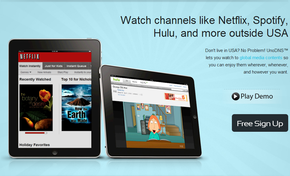 I just started using UnoTelly and now am subscribing to Netflix and Hulu Plus at the time running XBMC as a media server. Excellent stuff! Do you by any chance have any experience with the Roku here in Malaysia? I know UnoTelly says it works with Roku but would like to hear from first hand experience. Thanks! Hey Faizal, thanks for reading. unfortunatelu I dont subscribe to roku or hulu plus, but I’ve got no doubt it works. If you try it do let me know, I’m curious as well. What’s the ip server to be used to be able to access it in Malaysia? Unotelly downloads a tool that automatically updates your DNS settings, so there’s no need to update the IP manually. Hope that helps. This is interesting… How do I go about it then? I have a Samsung smart TV.do I sign up with unotelly first? Then Netflix and hulu? Yes. First you need to subscribe to Unotelly first, and only after that do you subscribe to Netflix and Hulu. Hey mate, I am wondering would I be able to full HD streaming on my TV if I subscribe to UNIFI 5? 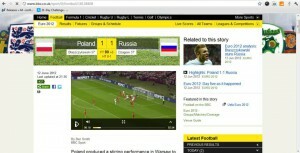 Sorry for the late response kaizer…YES, you can view in Full HD streaming on Unifi 5 (you don’t need the 10 or 20). Hi, I have a 10mb Unifi line but can’t seem to stream Netflix & Amazon On Demand in HD at all; but am able to do so for Hulu. Hence, it’s not a bandwidth issue. Is it because Netflix servers are located far away from this region? can’t access http://www.tastytrade.com from Malaysia since last week. Previously was ok. Using google DNS 8.8.8.8 and 8.8.4.4 already. Thanks for sharing bro. Very informative. I’ve been thinking of running the same sort of service like Unotelly but specific for Malaysians. It’s still in beta testing so it’s free to use for now. The primary reason these services are not available yet is due to specific licensing restrictions in countries. You make it sound like these executives are up in their high towers keeping it from you on purpose. Quite the contrary I’m sure they would love to have your money. I appreciate that you’re trying to sell a product but no need to be racist, mate. I make no money from the sale of this product. Hence not trying to sell it. The licensing restrictions are a result of copyright protection gone wrong, when viewers in much richer developed countries get cheaper access to the same content. In some cases Americans get to view the content for free, while the rest of us have to watch it on subscription cable tv. I’m not sure which part of my post is racist? would you be able to point out which sentences were racist. I mean no offence to anyone, and if something somewhere here is offensive, I’ll gladly take it down provided I know which part it is. Thanks to Izzudrecoba, I have been able to purchase many US streaming services (Netflix, HBO Go, WatchESPN, Amazon Prime). Great article. For those who live outside US like me, you can access Netflix, Hulu and similar media stations on your Panasonic Smart TV by using UnoTelly or similar tools.